MEXICO CITY, Feb 13 2018 (IPS) - The use of technological tools in political campaigns has become widespread in Latin America, accompanied by practices that raise concern among academics and social organisations, especially in a year with multiple elections throughout the region. 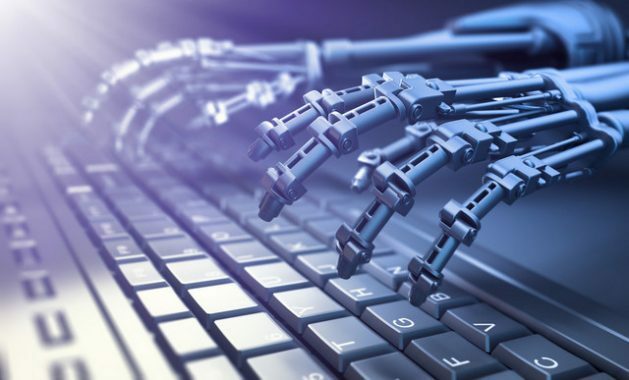 The use of automated programmes – known as “bots” – to create profiles in social networks intended to offset critical messages, propaganda, the spread of lies and hate campaigns on platforms such as Facebook, Twitter and WhatsApp are already the digital daily bread in the region. For Tommaso Gravante, an academic at the Centre for Interdisciplinary Research in the Sciences and Humanities at the National Autonomous University of Mexico, an emerging concern is detecting fake profiles on social networks using artificial intelligence or machine learning. “Clearly, this gives the impression that these technologies impoverish the debate with superficial answers. There is a problem in companies that handle ‘big data’, such as Google. They accumulate information, but we do not know how it is managed. Complex algorithms are used. How it is managed is a mystery,” he told IPS. Gravante was one of the five winners in 2017 of the Seventh Worldwide Competition for Junior Sociologists organised by the International Sociological Association, and is one of the editors of “Technopolitics in Latin America and the Caribbean”, published in 2017. 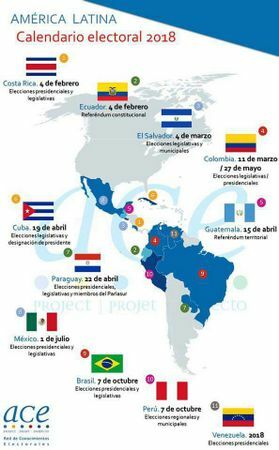 In 2018, six Latin American countries will hold presidential elections, while others are holding legislative elections or referendums. And technopolitics is part of the electoral landscape in the region. As the July 1 presidential elections in Mexico approach, the use of social networks is already being seen, and the same is expected for Colombia’s elections in May and Brazil’s elections in October. Voters in Costa Rica, Paraguay and Venezuela will also elect new presidents this year. “The two-way digital technology (anyone speaks-anyone hears) represents a great advantage for freedom of expression, as it not only enhances the possibility of informing but also of getting informed. But it also shows how the problems of society are appearing in the networks,” Colombian expert Catalina Botero told IPS. The problem involves the potential reach of a message on the Internet, which also applies to its possible negative effects, said Botero, the current director of the non-governmental Karisma Foundation, which works for human rights in the digital environment, and a former special rapporteur for Freedom of Expression of the Inter-American Commission on Human Rights (2008-2014). The use of social networks and digital media in political campaigns broke onto the scene in the United States in 2008, at the hands of Democrat Barack Obama (2009-2017), who won the presidential elections in November of that year. Since then, there is a perception that new technologies can determine the tone, and therefore the outcome, of election campaigns. That belief was consolidated even more with the use of big data and data mining in 2016 by current US President Donald Trump, to build electoral models and tailor messages. As a result, political parties across the spectrum have sought advice in these fields, while marketing and digital imaging agencies have added those services to their portfolio. Six out of 10 Latin Americans use a social network, according to a December study carried out for the Spanish newspaper El País by the consultancy firm Latinobarómetro and the Institute for the Integration of Latin America and the Caribbean, a unit of the Inter-American Development Bank. Brazil, Chile, Colombia, Costa Rica, Mexico, Paraguay and Uruguay are the countries most connected to social media such as Facebook, WhatsApp, YouTube, Instagram and Twitter. In 2015, 43 percent of Latin American households had internet access, according to data from the Economic Commission for Latin America and the Caribbean (ECLAC). Argentina, Uruguay, Chile and Costa Rica head the list of the most connected households, while Honduras, Guatemala, Nicaragua and El Salvador are the least connected. As several studies have shown, there are already practices in the region to manipulate information and guide political discourse, as has happened in countries such as the United States, Great Britain and Germany. The 2017 study “Troops, Trolls and Trouble-Makers: A Global Inventory of Organised Social Media Manipulation” detected bots in 28 countries, including Argentina, Brazil, Ecuador, Mexico and Venezuela. The report, prepared by two researchers from the Computational Propaganda Research Project (COMPROP) of the University of Oxford Internet Institute in Britain, considers that governments and political parties promote these digital hosts, through official institutions or private providers. Another 2017 analysis, “Computational Propaganda Worldwide”, also published at Oxford, found that bots and other forms of computer propaganda have been present in Brazil. The study says they were used in the 2014 presidential elections, the 2016 impeachment of former president Dilma Rousseff (2011-2016), and the municipal elections in Rio de Janeiro the same year. “Highly automated accounts support and attack political figures, debate issues such as corruption and encourage protest movements,” says the report. In Mexico, another report identified in 2016 the presence of bots in 2014 to block criticism of the government of conservative President Enrique Peña Nieto, in power since 2012. “They want to create trends, but nobody knows how people can appropriate that discourse, although it can be stimulated with some provocations. The only antidote against this is to take to the streets, as a response to these manifestations, get organised neighborhood by neighborhood. The learning process is linked to social needs,” said Gravante. In this respect, the expert argued that social conflicts enhance “empowerment processes”, in which “there has been impressive progress…In that sense, I am techno-optimistic,” he said. The 2016 US elections won by Trump offer a preview of what is taking shape in Latin America. In September 2017, Facebook said it found some 80,000 publications on controversial issues in the U.S. elections, created by Russian-linked agents, which reached more than 126 million people in the United States from June 2015 to May 2017. Twitter, meanwhile, identified more than 50,000 Twitter accounts linked to Russia, which spread false information during the 2016 presidential elections in the United States. For Botero, it is worrying how citizens can be involved in political processes that use digital media and the emergence of manipulation through networks, which can determine election results and, ultimately, impoverish democracy. “WhatsApp chains are impacting the way people are informed and viralizing a lot of information that could be labeled as ‘fake news’. Their impact has not been measured,” she said. The use of social networks is not regulated in the region, although most governments monitor their use, and in countries such as Costa Rica, Ecuador and Mexico the electoral authority reviews on-line advertising and propaganda. “The main problem is that regulating a discourse means deciding what is a lie and what is not, and that is a problem. In terms of freedom of expression, anything should be said and the limits should be minimal. Election laws must be updated to face the challenges of on-line campaigns, but I’m not sure whether that’s a good idea,” said Botero.